Our friends at the Ohio Bicycle Federation have been pushing hard for years to get a state-wide 3-ft passing law in Ohio, but our state House of Representatives keep refusing to pass it. The most recent attempt was in HB145 which was introduced in April of 2013. Recently we learned that the bill will come out of committee, almost a year later, to be passed WITHOUT the law requiring motorists to give people on bikes a minimum of 3 feet of space when passing. Why this is important? Currently state law says that motorists must pass a bicycle at a “safe distance.” By defining the minimum safe distance as 3 feet, it makes the law more enforceable. In fact, Bike Cleveland is hosting a training for local law enforcement on how to effectively enforce laws to ensure bicycle and pedestrian safety, and educating how to enforce safe passing is a key piece of the training. Learn more about the training at BikeCleveland.org/Enforcement. In short, 3-foot passing laws create a legal framework to protect bicyclists who are hit or buzzed from behind, create a less arbitrary standard and raise awareness of the importance of safe passing. What is the concern of our state lawmakers? One concern expressed was about the narrowness of Ohio lanes and possible dangers involved in motorists passing cyclists by 3 feet (in some cases possibly crossing the center line). This is an invalid concern because under Ohio law motorists can cross the double yellow line to pass a slow moving vehicle. In Ohio, 3-foot minimum passing laws already exist in Bay Village, Cleveland, Cincinnati, and Toledo. Across the country, 22 states and Washington DC have passed 3-foot passing minimum laws. It is time for our leaders in Ohio to take action to ensure the safety of people riding bikes on our public roadways and pass a 3-foot minimum passing law. Take a moment and contact your state representative asking them to pass a state-wide 3-foot minimum passing law. We are also asking advocates to contact the Ohio House of Representative’s Chair of the Transportation, Public Safety and Homeland Security, Rep. Rex Damscroder, telling him to reconsider and keep the minimum 3 foot passing provision in HB145 because one life lost is one too many. 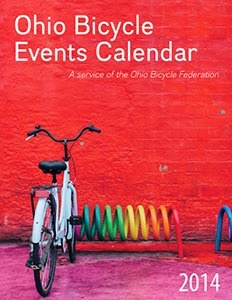 You can email here: http://www.ohiohouse.gov/rex-damschroder/contact. 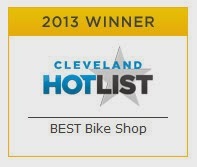 Lastly, take a moment and sign Bike Cleveland's petition, which will be packaged together with all the signatures with testimony from Bike Cleveland about the importance of a 3-foot passing law in making our streets safer for people on bikes (be sure to include your address). Sunday Services Group Road Bike Rides - now at all three stores! 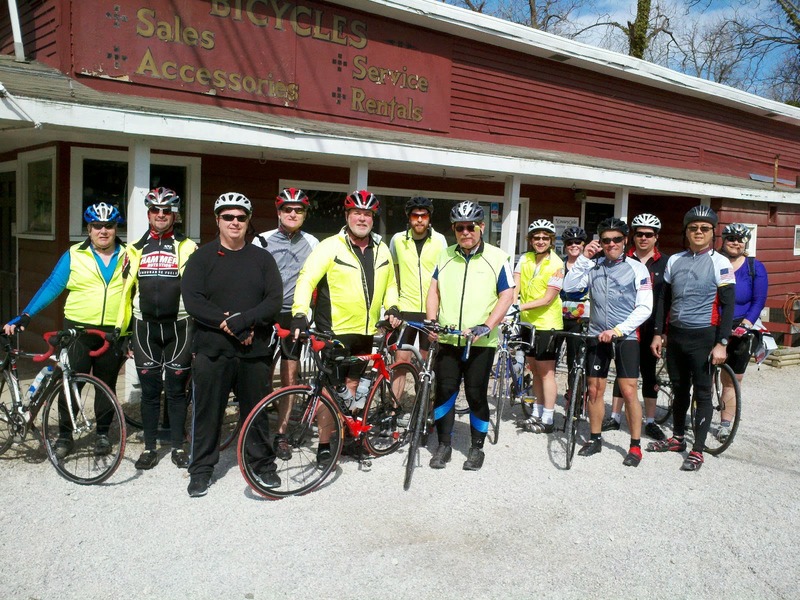 Sunday Services Group Road Bike Rides were started in the Spring of 2013 at the Century Cycles store in Peninsula. Back by popular demand, we'll be having them this year in Medina and Rocky River as well! The rides begin in April and go through October, weather permitting. If you're new to cycling and would like a little company to try riding on the open road, these rides or for you. Or, if you're an experienced rider looking for a casual morning ride, you can come along, too! All skill levels are welcome! The pace is moderate, and we wait for everyone to catch up at each turn. You'll have help from a Century Cycles staff member in case you get a flat tire or anything like that, but you should still be self-sufficient and have the 5 Things You Should Carry on Every Bike Ride. Road bikes or fitness bikes are recommended, and helmets are required. In Medina, we ride on the third Sunday of the month (except in April, because that's Easter Sunday; we'll ride on the fourth Sunday). Meet in the parking lot outside the front door of the store. Our route is about 20 to 25 miles. Look for the route on our web site soon. In Peninsula, we ride on the first Sunday of the month. Meet in the store parking lot. We usually ride the Valley Loop, an 18-mile gently rolling route along the Cuyahoga River. In Rocky River, we ride on the second Sunday of the month. The route varies depending on what the group decides. Note: The name "Sunday Services" is just a play on words; there is no religious component to this event (unless, of course, cycling IS your religion!). 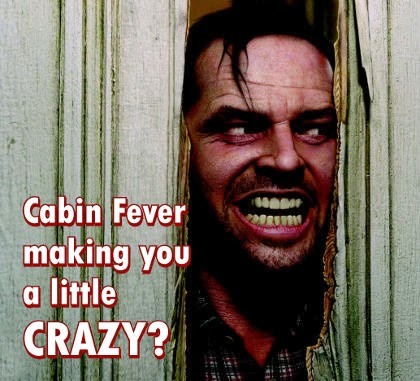 Cabin fever making you a little CRAZY? 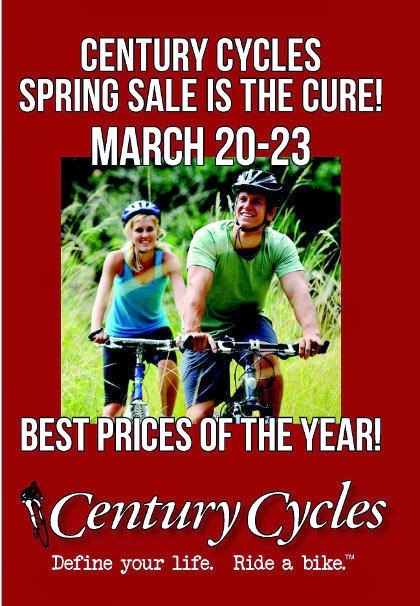 Century Cycles Spring Sale is the Cure! Our Best Prices of the Year! 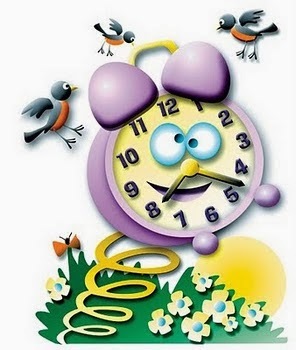 Extended Hours: all three stores open until 8:00pm on Friday, March 21! 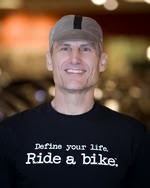 Thank you for 22 fantastic years of bicycling fun! 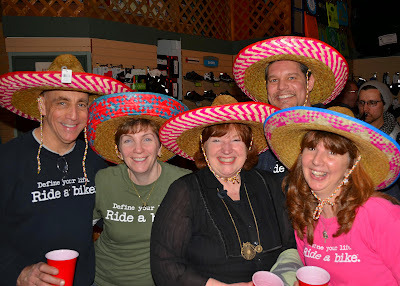 Thank you too all of our loyal customers and friends for joining us at our Spring Kick-Off Fiesta last Friday night at the Century Cycles store in Rocky River! Bicycle escorts are needed for the Cleveland Rite Aid Marathon (May 18, 2014) and the Canton City Marathon (September 7, 2014). The bicycle escorts help ensure the safety of the racers in the wheelchair/handcycle division. If you are interested in volunteering, contact John Squires at jpsquires@att.net. Join Giant Factory Off-Road Team rider Marcelo Gutierrez for a wild ride at the 2014 Valparaiso Urban Downhill! 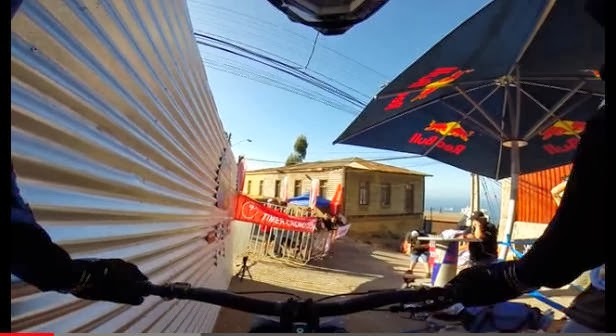 Marcelo rode a prototype Giant Glory DH bike to a podium finish at the February 23 race, which features steep cobblestone roads, narrow stairways, tight alleys, and other crazy obstacles on a harrowing plunge through the beautiful seaside town of Valparaiso, Chile. Click here if the video above is not appearing for you — and hold on! The Rwandan people are trying to recover from the horrendous genocide in which about one million people were slaughtered. Volunteers from the United States and London, including renowned cyclist Jock Boyer, have been helping to rebuild pride by organizing biking competitions for young Rwandans. Adrien Nyonshuri, who lost several members of his family in the genocide, competed in the 2012 Olympics. Team Rwands and their supporters were profiled in the 2012 film Rising from the Ashes. The groups needs more road bicycles to continue this effort. 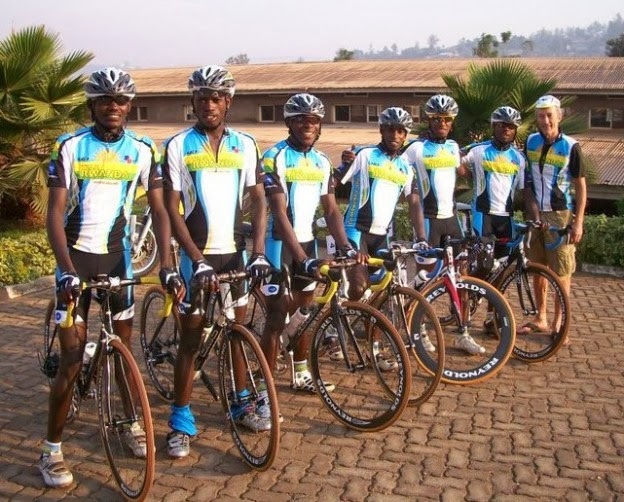 The Richfield Chamber of Commerce and ScripType Publishing have connected with the founders of the biking program and are collecting used road bikes that will be shipped to Rwanda. Call 330-659-3300 to donate a road bike that is in good working order. 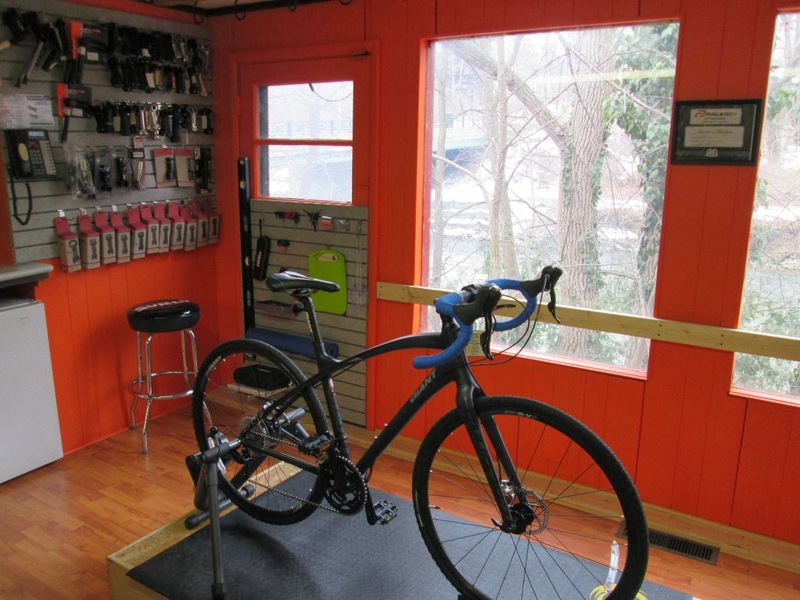 March and April bring you the best deals in the bicycle industry from Raleigh Bicycles! Purchase an eligible Raleigh carbon bicycle and get a $100 rebate! Purchase an eligible Raleigh aluminum bicycle and get a $50 rebate! Stop in to your nearest Century Cycles to test-ride a Raleigh Bicycle and learn more!